A Celebration of Life for Ms. Frances Teague, 72 of Decatur, AL. will be 1:30 p.m Sunday, January 27, 2019. at Reynolds Funeral Home with the Reverend Clifford Malone officiating and inhumation in Sterrs Cemetery. Frances Teague was born July 28, 1946 in Decatur, AL to Elijah Teague Sr. and Alice Rebecca Reynolds Teague who both preceded her in death. 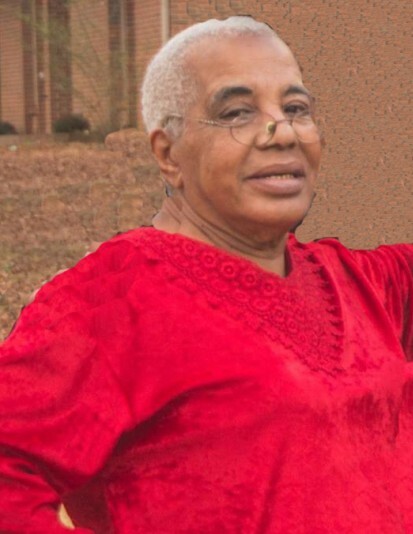 She departed this life on January 22, 2019. Frances, affectionately known as ‘Mama’ in the community, accepted Christ as her savior at an early age at Hills Chapel Cumberland Presbyterian Church in America. Frances attended Morgan County Training School in Hartselle, AL. After high school, Frances devoted her life to serving others. She never met a stranger and if you were in need, she would do whatever she could to help. One might say Frances was Decatur’s only reliable news source; if there was “breaking news,” rest assured that Frances would be the first to know and the first to tell. Frances was preceded in death by her sisters, Mattie Pearl Teague, Louise Turner, and Dorothy Oldacre, and brothers, John Curtis Teague, Baby Teague, Leon Teague, and Elijah Teague Jr.
She is survived by her sisters, Euniceteen Matthews and Loretta Jackson (Charles) of Decatur and Rebecca Isaac of Pittsburgh, PA. She is also survived by her brother, Louis Teague (Minnie) of Huntsville and twin brother, Frank (Nona Mae) of Decatur.